And the goal is what is if not to impoverish entire Europe via lunacy syndrome(overpopulation) which present all over Africa and South America !!????? Second(beside invasion on Western Europe) is also Sserbian genocide option for Slovenia where Slovenian government carefully keeps real statistics away from native population(forcefully pushed out of Slovenia native Slovenians are replaced by Serbian population for already 7 decades). Holodomor(economic genocide also known in Slovenia as Rodomor) in Slovenia and in some other parts of ex Yugoslavia is more than just real. Faced with an ageing and declining population – a common problem across Europe – Serbia is offering financial incentives to parents. But not everyone is happy and critics say it is “reducing women to baby-producing machines”. EURACTIV Serbia reports. A country of 7 million people, Serbia loses 107 citizens a day and, according to research, is one of the 10 countries on the planet with the fastest shrinking populations. A high birth rate is registered in only five of the 174 municipalities. State Statistical Office data shows that the population fell by 385,000 between 2006 and 2016, while the median age is 43. The severity of the problem is such that President Aleksandar Vučić personally presented the financial support scheme for mothers, aimed at encouraging them to have more children. The Action Plan of the Population Policy Council envisages that a mother will get one-time aid worth €845 for her first child, €85 per month for two years for the second, €100 per month for 10 years for the third, and €18,000 over the course of 10 years for the fourth child. Payments will begin in July, after a new law on financial support to families with children takes effect, and will be available to the parents of all children born as of January 1, 2018. “Depending on the solving of the Kosovo problem, Serbia will in 2060 have between 3.9 million and 5.5 million inhabitants. We will certainly be small and significantly smaller than today. That is our own fault,” Vučić told a news conference in Belgrade on March 17. “That would mean that we are finished as a nation, we would have no economic, demographic and political potential,” said Vučić. He called on employers to respect mothers, show more understanding for maternity leave and not use it as a reason to dismiss them. However, the initiative was not received well by a portion of the public. The Women’s Platform for the Development of Serbia, which gathers women from various institutions, the academia, civil society, private sector, parties and the media, criticised Vučić’s statement, saying that he had presented the purpose of giving birth as the production of Serb soldiers. 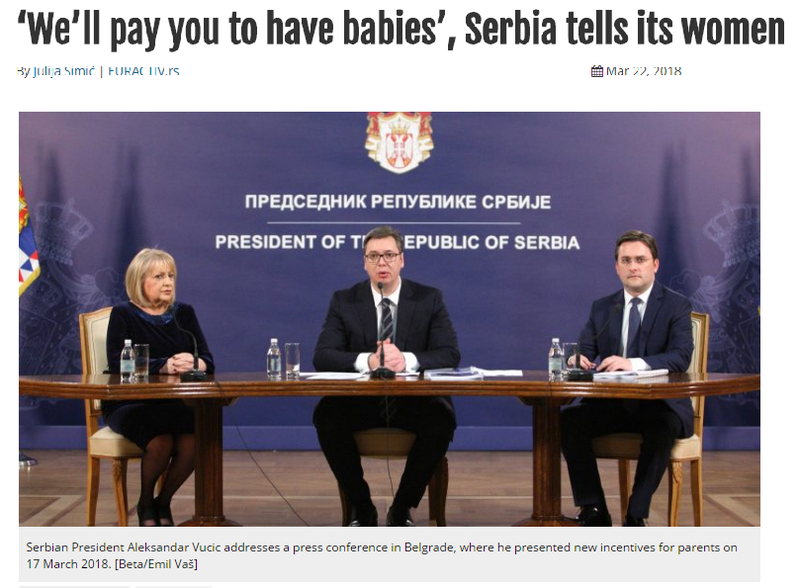 Meanwhile, several NGOs spearheaded by the Women in Black condemned Vučić’s statement in which he had “asked” women to “understand Serbia’s need and have more children,” saying that this statement was humiliating and degraded women. 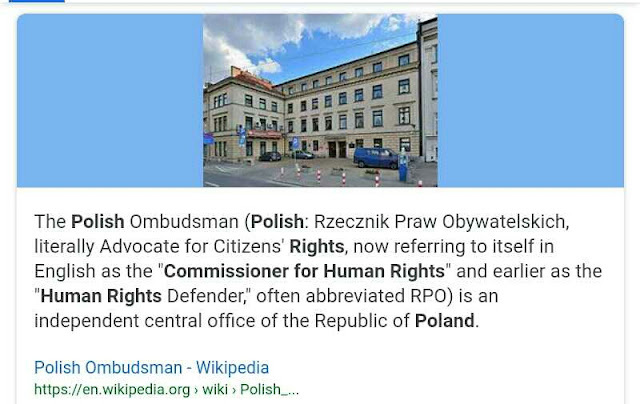 These organizations also warn that it is problematic that state aid stops at the fourth child, which excludes support to numerous Roma families. The Three Plus Movement for Children also highlighted the deficiencies of the new financial stimulation. Movement members disagree with the idea of leaving families with three or more children born before January without state assistance. Faculty of Economics, Finance and Administration professor Gordana Matković pointed out that similar birth rate boosting measures in neighboring countries – Macedonia and Montenegro – had not worked. Matković, also a former minister of social policy, told Beta that Serbia was already earmarking 25% of GDP to the population’s social needs. “The matter of population increase becomes pointless when a country joins the EU, because Croatia, which has no birth rate problem, has a problem with emigration,” said Matković.